Do you hate doing laundry? Let Sandy’s Coin Wash do it for you! 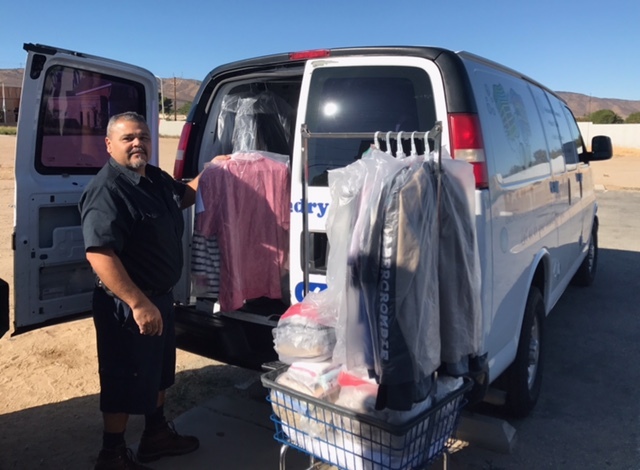 We offer wash and fold services to individual customers in addition to our commercial services, so you can check one more chore off your list. We’ll even pick it up and deliver it to you for a small fee. Sandy’s Coin Wash will handle your laundry with great care—we’ll separate whites, lights and darks and follow all care instructions listed on the clothing’s tags. We never use low-cost bulk cleaning agents, just premium name-brand products: Tide Laundry Detergent, OxiClean, Clorox Bleach, Downy Fabric Softener and Bounce Dryer Sheets. After the clothes are washed and dried, we’ll fold them neatly or hang them from hangers and wrap them in plastic to protect them until they’re delivered to you with a smile. If you’d like nothing more than to have your dirty laundry whisked away and returned to you washed, dried and neatly folded, Sandy’s Coin Wash can help. We have been in business for over 30 years, we are trusted by many and we want to earn your business! Contact us today to schedule a pickup!